IFA 2015: Harman partners with Tidal to offer CD-quality music streaming | What Hi-Fi? Harman International is the latest audio group to offer Tidal's music streaming on a range of its audio products. Tidal offers lossless, CD-quality streaming of its 30-million strong song catalogue at a cost of £20 a month (there's also a cheaper £10 option with lower quality streams up to 320kbps AAC). 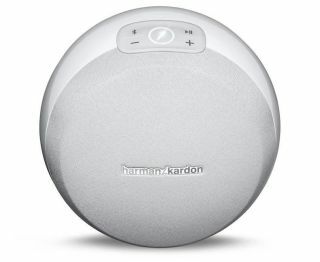 The alliance between Harman and Tidal begins now and means the service will be available on the Harman-Kardon Omni wireless multiroom system as well as other Harman audio products. Michael Mauser, Harman's president for lifestyle audio, says: "We are excited to team up with Tidal to give Harman-Kardon listeners easy access to great music in hi-fi quality. Tidal shares our commitment to making music available to people in the best possible quality." The Tidal streaming service has now been integrated into the Harman Kardon controller app for the Omni system and other Harman systems.